Apple has confirmed that its new flagship smartphones — the iPhone 7 and iPhone 7 Plus — and the second generation Apple Watch will be equipped with Sony FeliCa NFC technology. The move will allow for Apple Pay transactions in-store, in-app and online as well as for transport when the payment service makes its launch in Japan in October 2016. “iPhone 7, iPhone 7 Plus and Apple Watch Series 2 sold in Japan will support FeliCa Type-F NFC contactless technology, which is used every day for more than 160 million transactions across Japan,” the company has confirmed. Apple Pay will be supported by “many of the most popular” Japanese credit and prepaid cards issued by AEON, Credit Saison, JCB, Mitsubishi UFJ Nicos, Orient Corporation, Sumitomo Mitsui Card, Toyota Finance, UC Cards and View Card, representing “more than three-quarters of all credit card spending” in Japan. Mobile network operators KDDI, NTT Docomo and Softbank will also support the service, along with payment networks American Express, Mastercard, iD and QuicPay. 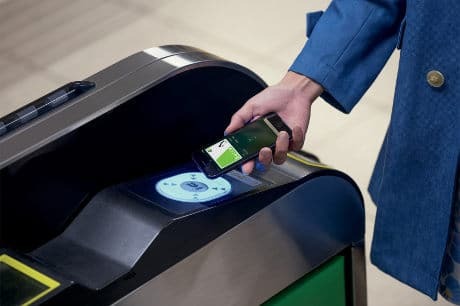 “Users can commute and pay for everyday items with Suica from JR East, and make convenient and private credit and prepaid card purchases in stores, apps and on the web with a single touch,” Apple says. “Apple is also introducing support for transit in Japan with Maps in iOS 10, so commuters can easily find ride details, including fare breakdowns that automatically show Suica pricing right on their device, making their commute more seamless and simpler than ever. “Beginning in October, iPhone 7, iPhone 7 Plus and Apple Watch Series 2 users will be able to make purchases in stores anywhere Suica, iD or QUICPay is accepted, encompassing nearly two-thirds of all transactions at Japan’s largest merchants,” Apple adds. “You may know that in Japan there’s a different version of NFC called FeliCa,” Apple’s senior vice president Phil Schiller told attendees during the annual iPhone event, where the company unveiled its most recent flagship devices. “So, for the iPhone 7 and 7 Plus that we’re bringing to Japan, we’re including FeliCa technology. Apple Watch Series 2 will also include FeliCa technology. With that in place, we can roll out Apple Pay in Japan and we’re going to do that in October. “In the US, merchants tell us that over 90% of wireless transactions and contactless payment are now made with Apple Pay— it is a huge hit,” Schiller added. “With the advances with iOS 10, it gets even easier to keep all your credit cards and loyalty cards safely in your Apple Wallet on your iPhone. Reports that Apple was planning to launch an iPhone in Japan equipped with FeliCa technology surfaced last month. FeliCa Networks, the joint venture between Sony and Japanese carrier NTT Docomo, has been working for several years to deliver mobile phone chipsets that support both its highly successful FeliCa-based Osaifu-Keitai mobile wallet service and international NFC payments services. In 2012, the company partnered with Samsung and NXP to develop solutions allowing phones to work with both EMV services and Osaifu-Keitai. While it’s nice Apple Pay now supports FeliCa, Apple Pay also need to support Hong Kong Octopus card network so it gives more reason for Hong Kong Octopus cardholders to have an iPhone or Apple Watch. In addition, Apple bring the same FeliCa NFC technology to Hong Kong iPhones and need to work with various transport operators such as MTR, KMB, CityBus and NFWB. If the smart card operators of Suica, PASMO, nanaco, ICOCA, PiTaPa, and others can support the standard NFC used worldwide alongside with FeliCa like Hong Kong Octopus, then it’s easier for tourists and locals to use their devices with NFC, FeliCa, or both to pay for transit rides, meals, groceries, event tickets, etc.